Sean Tyas, a New York native now residing in Switzerland, brings to the dancefloor a mix of melodic harmony and driving groove that is sure to be just as effective on the legs as it is on the heart. He got his start in 1999 with his first set of Tech-12s and started to learn how to mix music. But for him, this was not enough. In the coming couple of years, he put together a studio and began producing records as well. By the age of twenty six, he had already remixed artists such as Christina Aguilera, Pink, Moby, Daniel Bedingfield, Christina Milian, and PPK. During this time he got his start into professional DJing with clubs in NYC such as Shelter and Exit. Moving to Europe proved to be a great move for Sean, doing all production for DJ Beam in Germany and building his experience as a studio producer. Eventually Sean decided to step away, and concentrated much more on his own productions and remixes. "Mirella" was the product of this exodus, as it was promptly signed to Afterglow Recordings, seeing John Askew and Dave Joy remixes. This led to a follow-up remix of Duderstadt - Muhanjala, which has seen almost every playlist of any trance DJ in 2006, including Armin van Buuren and Paul van Dyk. Sean's remix of Beam - "On your Mind" proved to be another HUGE club smash. Caned CONSTANTLY by the likes of Paul van Dyk, John O'Callaghan, & Armin van Buuren, this remix essentially locked Sean in as one of 2006's more endeared talents in the genre. 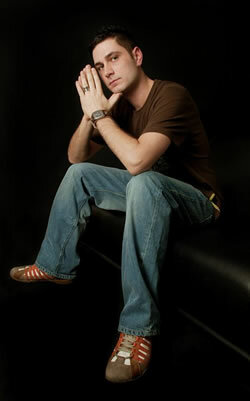 The hype on his first Discover single "Lift", was even more amplified by Sean's winning of the Sander van Doorn - Punk'd Remix Competition, beating out over 250 other remixes. In 2006 on the DJ side of things, Sean has hit the ground at a running pace, and by now in 2007 he already played in many international locales such Norway, Finland, Sweden, Turkey, England, Ireland, Scotland, Poland, Argentina, Australia, Ibiza, Indonesia, Switzerland, Canada, Germany, Italy, and of course America. Now as 2007 continues on, he has 2 new originals already on the release schedule of 2 of the genre's foremost labels, One More Night Out (Armada) and Drop (Discover). In addition, he has already done a plethora of remixes for labels such as Anjuna, Yakuza, Vandit, Armada, & more.